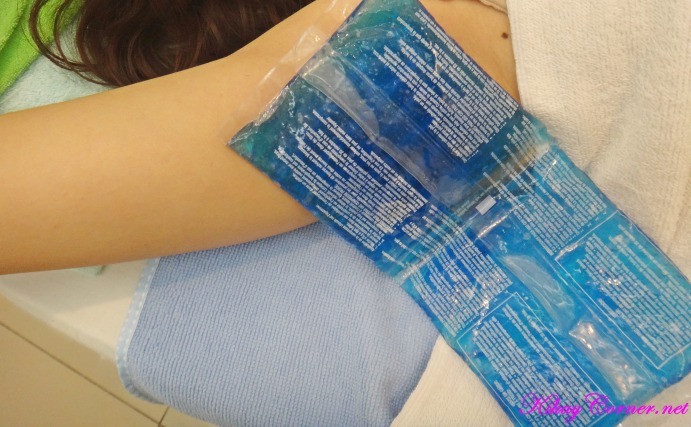 A few minutes before the laser hair removal procedure, I had ice bags pressed against my pits to kind of give a numb feel. Honestly, after all those plucking and waxing I’ve done for so many years, I would have survived without it. 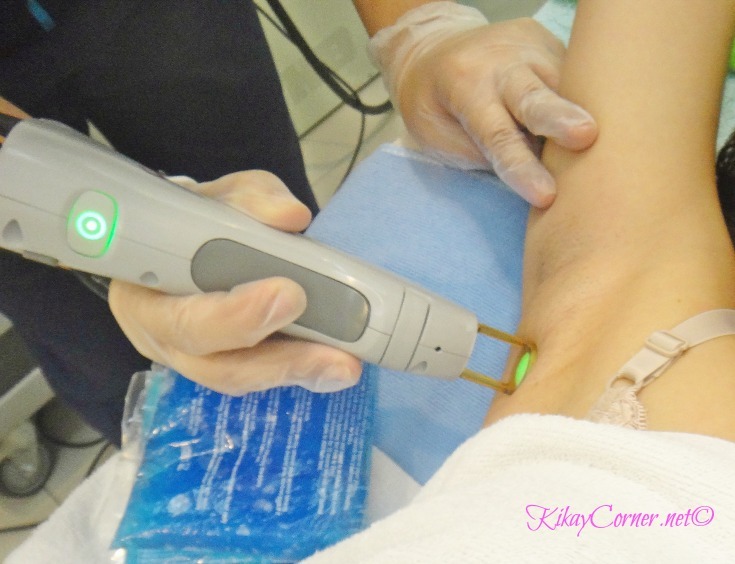 Laser hair removal is nothing compared to the ordeal I had myself go through constantly, for years, at that! If there was any regret at all, it is that I should’ve done this sooner. I can’t wait to totally forget about shaving altogether. Never wax or pluck while under the treatment process. Shaving is allowed if necessary. Because shaving stimulates hair growth making the hair thicker. No skin whitening or skin peeling for at least 3 weeks before and after treatment. No hot or warm shower within 24 hours of treatment. Don’t exercise or do anything that will stimulate heat or sweat for at least 3 days. Don’t use regular deodorants for 3 days after the treatment. Use only Milcu powder (no alcohol content). Whitening soaps on body is allowed but not on treated area. Do not sun bathe the treated area under the sun after 2 weeks of treatment. You CANNOT undergo laser procedure if you have/are/taking: skin infections, pregnant, Isotretinoin, Epileptic, tattoos, diabetes. Above is the current location of Skin House Beauty and Laser Clinic in Manila. They are branching out soon at Pioneer Center near Ortigas. I can’t wait! I know I am so not alone as I have personally met patients who travel from the South just to visit the clinic. With their world-class treatments, I am really not surprised. Thank you, Skin House Beauty and Laser Clinic for taking care of my skin. See you next month!